I've reviewed a lot of unique perfume bottles before (see Adidas Originals by Jeremy Scott, for example), but the Kenzo World Eau de Parfum bottle is definitely one-of-a-kind. 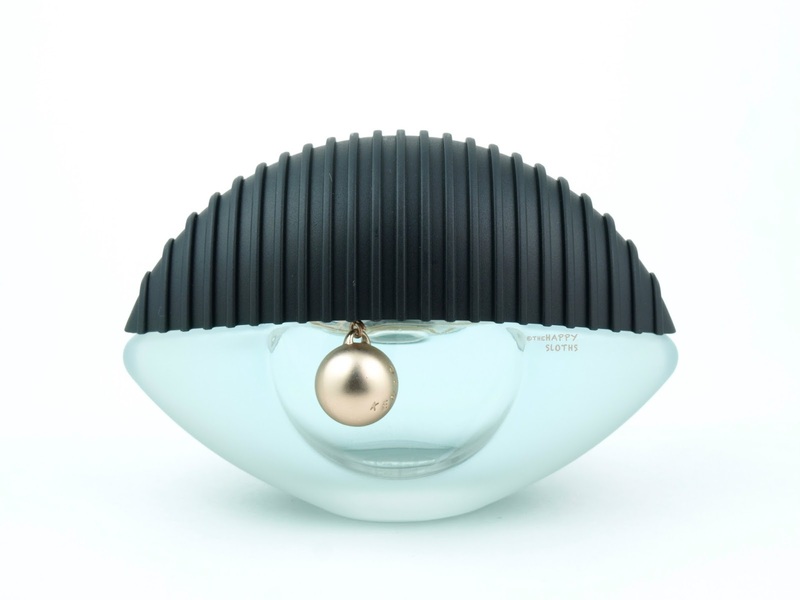 Shaped like an eye, the iconic motif of Kenzo, the bottle has an elegant frosted finish. The matte black cap has ridges running all across it and they kind of remind me of big, bold eyelashes. Last but not least, a rose gold bead dangles from a delicate chain strung around a "Kenzo World" embossed plaque, dotting the pupil of the eye. If you collect perfume bottles or just enjoy having unique accent pieces lying around the house, then this perfume is a must-have. Opening with a sweet whiff of juicy raspberry, the intoxicating scent of jasmine and peony quickly emerges, turning the fragrance into a sweet feminine floral. Although the fragrance contains Ambroxan, a synthetic version of ambergris, I can't detect it very much because the perfume fades quite quickly. The overall fragrance of Kenzo World actually reminds me a lot of Marc Jacobs Decadence. Although they don't share that many common notes, they both have that sweet intoxicating feel. The fragrance isn't heavy by any means but it's definitely not for those who don't like "sweet" perfume. Overall, I quite like this scent. It doesn't wear very long but with its alluring fragrance and the one-of-a-kind bottle, it's worth checking out. Kenzo is available in stores and online and Sephora and Hudson's Bay.